The Prestashop Product Update Notification Addon allows your customers to subscribe and receive email alerts when their selected product comes back in the stock or if there is an update on its price. 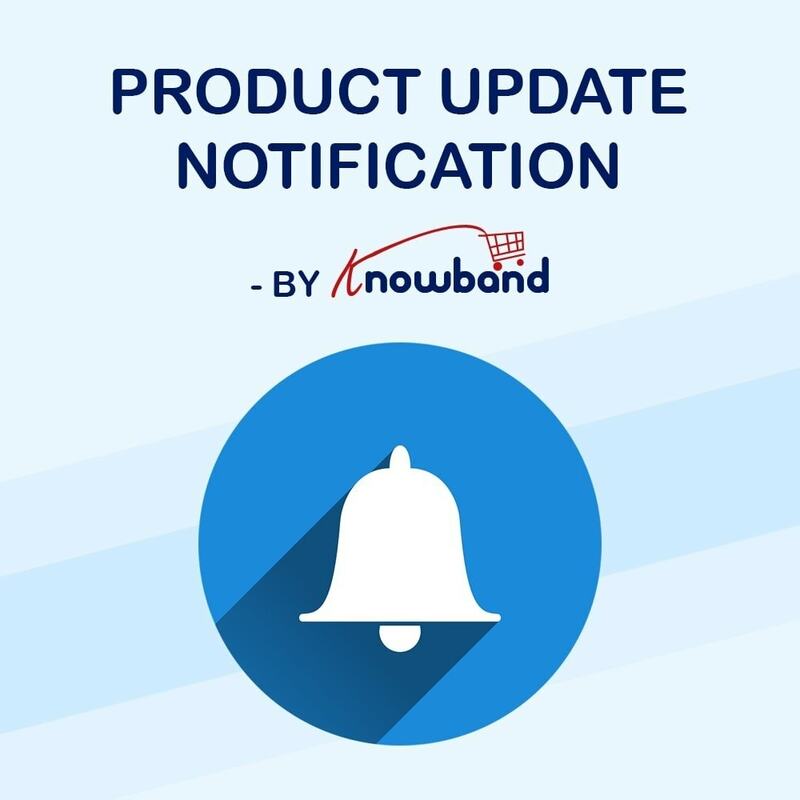 - Stock Alert Notification when the selected product is back in stock. - Price Update Notifications when the price of the selected product is changed. There are several reasons for why sometimes customers cannot make a purchase on your store despite being highly interested. Product “Out-of-stock” and “High product price” are two very common reasons. This Prestashop in stock notification module is a one-step solution to curb the bad effects of these two crucial reasons. 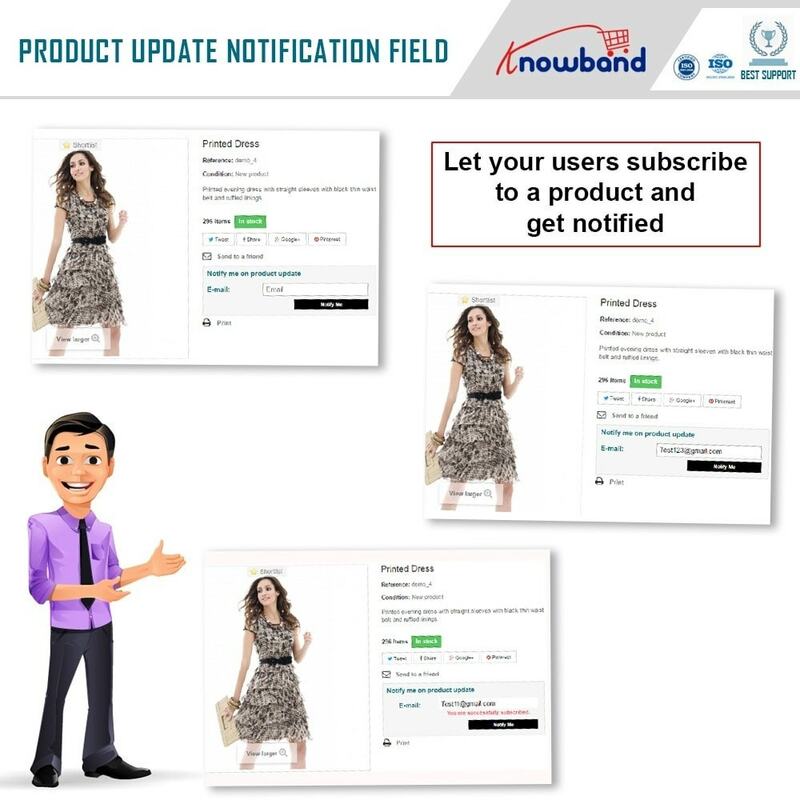 In both the cases, Product update notification module helps you to keep your customers informed and engaged. - It helps you to engage the customers even when the desired product is not in stock. - The Prestashop notification module helps in discovering the demand trend of a product by analyzing the stock alert subscriptions. - This Prestashop addon helps you to decide optimum pricing of the products. - The Prestashop out of stock subscription helps in generating leads from more likely to be interested customers. 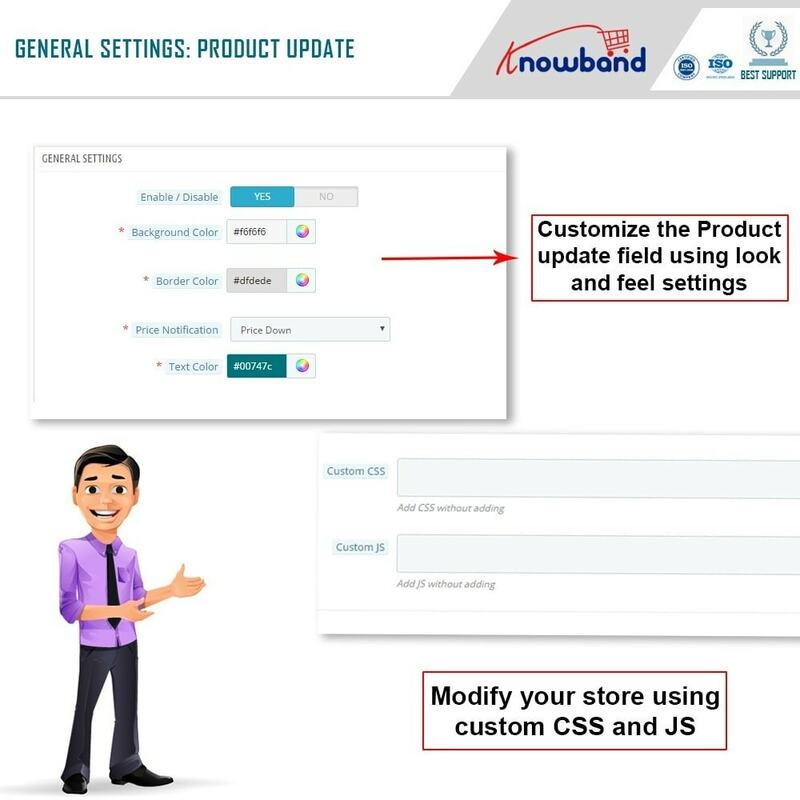 Customers can subscribe to product update alert on out-of-stock as well as on in-stock products. 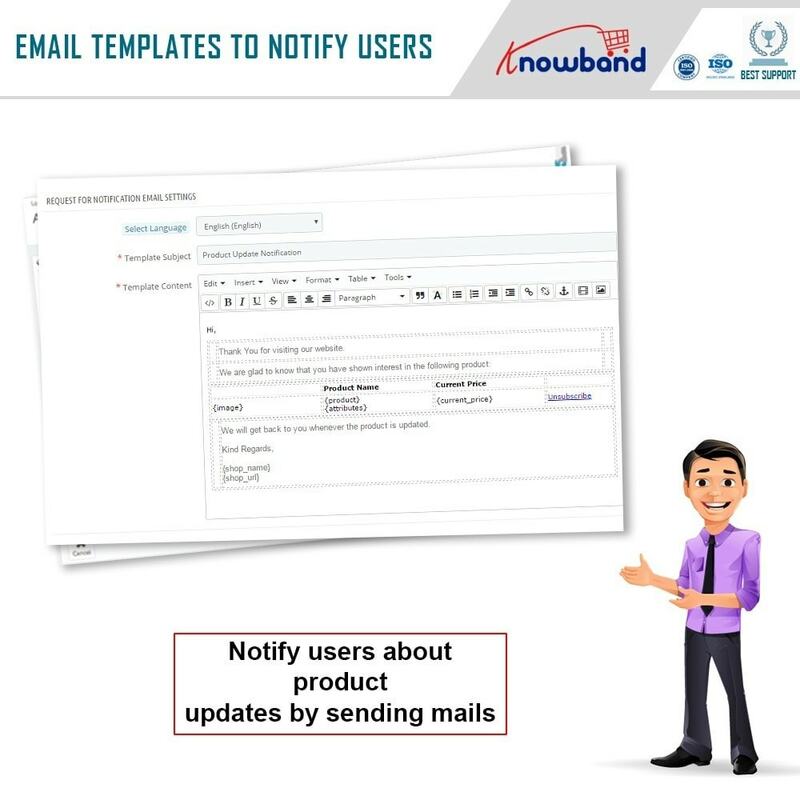 An email will be sent when a customer subscribes to the product update alert. 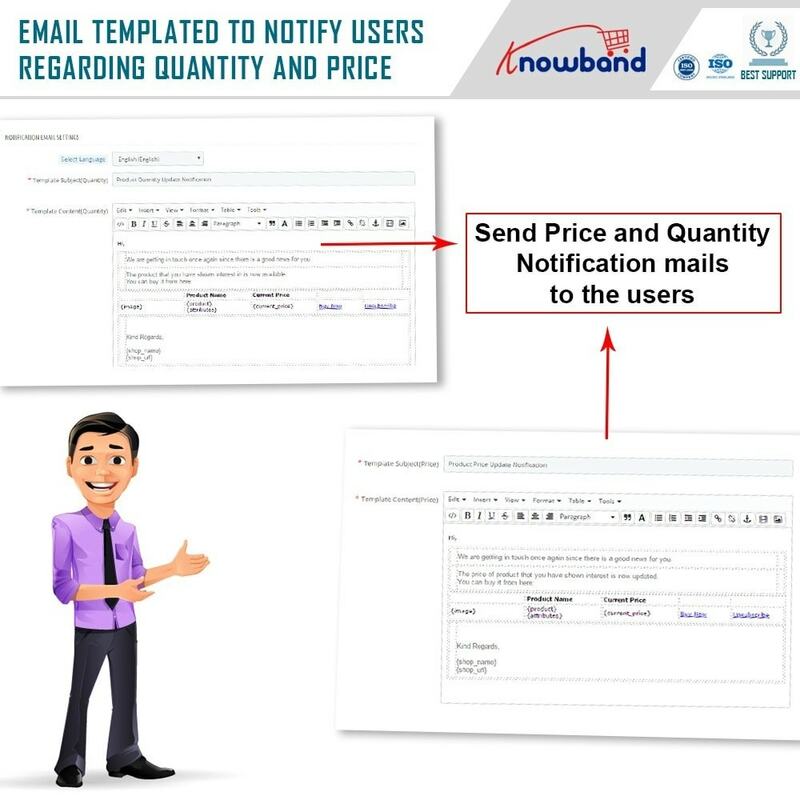 The Prestashop in stock notification module automatically sends an email to the subscribed customers when the product is back-in-stock or its price is changed. The Prestashop notification addon allows the admin to customize the look and feel of the block from back-office itself. The Prestashop Product update notification addon offers the admin to edit email templates and assign them to corresponding languages. This Prestashop module offers the admin to view the list of all subscribed customers with product and price details. 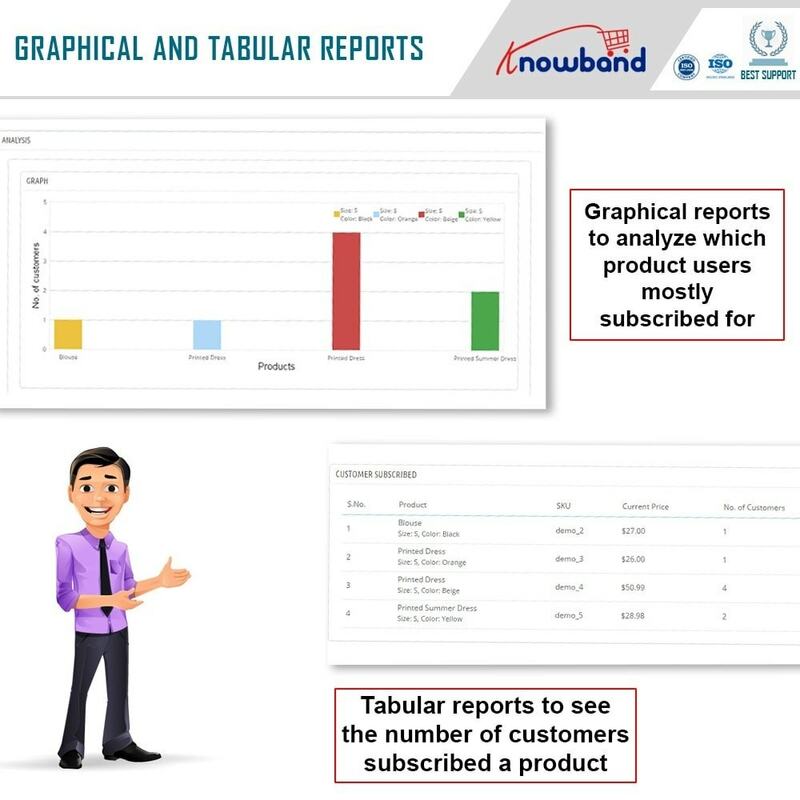 The admin can see a graphical report of the subscriptions through this Prestashop module. The Prestashop out of stock notification module is fully responsive and works well on mobile devices too. It is seamlessly compatible with all the PrestaShop themes. Enjoy extended security with SSL compatibility. The Prestashop out of stock subscription module is multi-store compatible. Vervang uw e-mails door een efficiënter alternatief en stuur uw bezoekers pushnotificaties via uw website! Haal profijt uit één van de meest innovatieve technologieën van het moment en stuur gepersonaliseerde berichten naar de browser van uw klanten om hun aandacht te vestigen op speciale promoties, nieuwe collecties... en hen opnieuw naar uw winkel te lokken! They will not get disappointed when a product is out-of-stock or highly priced. They can subscribe to the alert and get informed about the stock status and price change from time to time. The responsive interface provides appealing UX even on mobile devices.